A favourite and a journeyman went a long way to building momentum heading into the climax of the clay court season as the penultimate events of the European clay court swing took place. Here is your VAVEL USA ATP Weekly Update. Apologies for missing last week. Every Monday, we will be posting results and analysis from the previous week’s singles action on the ATP World Tour, along with a preview to the upcoming week. Keep coming back to VAVEL USA every Monday for your ATP Weekly Update. This past week was the last chance for the men of the ATP World Tour to get their games in gear with another major just around the corner. While most of the favourite’s struggled, the journeymen took advantage of some open draws to build momentum heading into the climax of the clay court season. 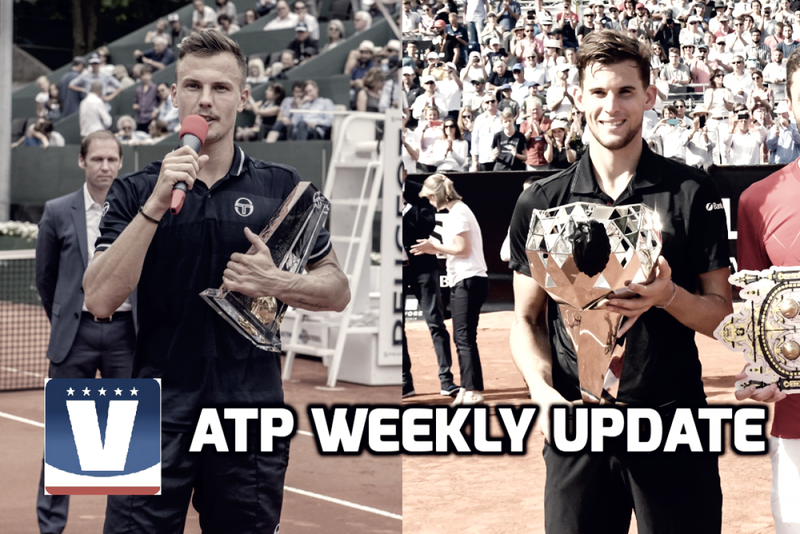 Here is your ATP Weekly Update for week 21 of the 2018 season. 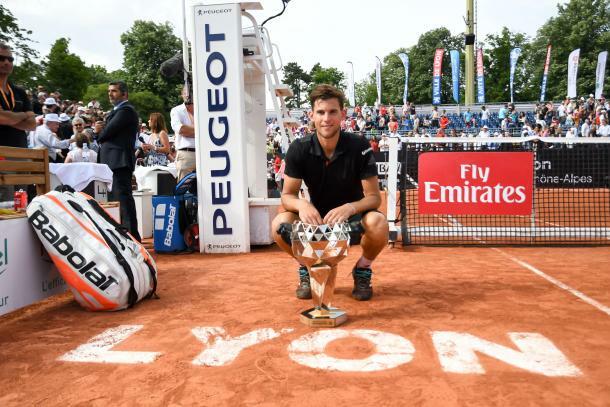 While playing an event the week before a major is generally not something the big names do, a stellar run at the Lyon Open will give one of the French Open favourites, world number eight Dominic Thiem, some serious momentum as he looks to claim his first major title. 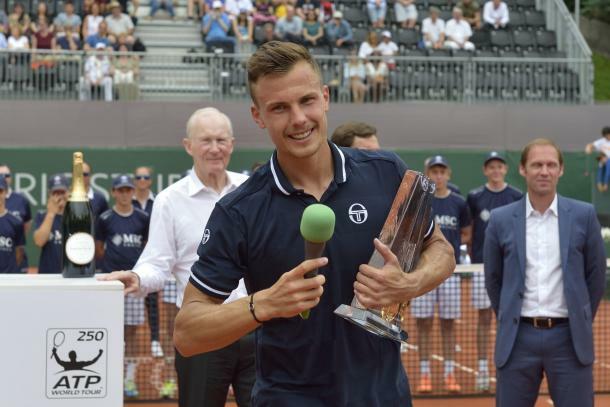 The Austrian did not have things entirely his own way in his final Roland Garros tune-up event, going three sets in his last three matches, but managed to do just enough to snag his second title of the season. In a tournament full of upsets, the top seed managed to avoid the carnage. Thiem won the crown without facing a seeded player, as only two seeds won matches, the other being second seed John Isner who lost in the quarterfinals. Isner’s conqueror, Gilles Simon, tore his way through the draw to reach his 20th career final, where he fell short to Thiem in three sets. The second French Open warm-up event saw a journeyman take advantage of the stars resting to breakthrough and claim his first career title. 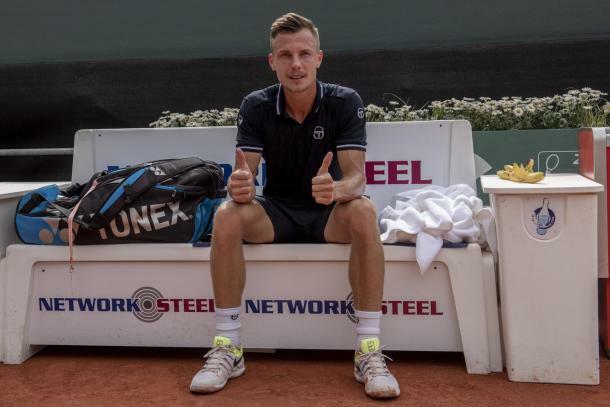 Hungary’s Marton Fucsovics, who has made serious progress in 2018, finally managed to string together a series of wins at Geneva Open. The Hungarian only dropped one set on his way to the first title of his career, which included wins over fifth seed Roberto Bautista Agut, third seed Stan Wawrinka, and Houston champion Steve Johnson. The Hungarian capped the run off with a straight-sets win in the final over Peter Gojowczyk. Like Lyon, the seeds struggled in the week before the French Open, with only four of the eight seeds winning a single match, only two reaching the semis and none reaching the final. The upsets included top seed Sam Querrey losing an epic three-setter in his opening match to Guido Pella. Former French Open champion Wawrinka won his first match since February by winning his opener against Jared Donaldson before falling to Fucsovics. By winning the first title of his career, the Geneva champion flew past his previous career-high ranking of number 59, into the top fifty for the first time in his career 15 spots up to number 45 in the world. The man Fucsovics beat in that final, Peter Gojowczyk, also leapt up to a career-high, climbing six spots to number 49. Briton Cameron Norrie, who was a surprise semifinalist in Lyon, jumped 17 spots into the top 100 for the first in his career up to a new career-high of number 85 in the world. Despite winning in Lyon, Dominic Thiem stays at number eight in the world. After the Italian Open shook up the Race to London last week, with Alexander Zverev finally knocking Roger Federer out of the top spot and Rafael Nadal climbing up to number three, this week’s action had no major effect on the race with the top 13 players staying in place. The only real effect was Thiem’s title gave the two-time qualifier, who currently sits sixth, a bit of breathing room between himself and number seven Kevin Anderson. For the next two week’s, there is only one tournament on the schedule and it’s a big one. Over the next 15 days, 127 men will ask the same question: can I be the one to stop Rafael Nadal? The world number one and top seed leads the field at the season’s second major, the French Open. A piece of history is on the line for the Spaniard, who can match Margaret Court for most Grand Slam singles titles at a single major with eleven should he add another crown in Paris two Sundays from now. Alexander Zverev, the first non-big four person to be seeded in the top two at a slam since 2006, will look to keep his strong clay court season going and finally achieve a major breakthrough as he sets himself up as the biggest threat to the Spaniard. Former champions Novak Djokovic and Stan Wawrinka will also be looking to keep making progress in their respective injury comebacks and add a second Coupe des Mousquetaires to their collections. Check out the full tournament preview here.